8903CCDonut 3 Light Led Spot Light ChromeThis dist..
96819-GOThe Adagio is an impressive 9 light chande..
96826-CHThe Amadis is an impressive 6 light glass ..
is our largest category where we have included as many styles and examples as we can to give you the choice you need. Every customer is different and so bringing you a broad selection of styles, sizes and configurations is what we offer.There are many other influences on what make a fitting 'work' in a room and if you would like some help then that's what we are here for. 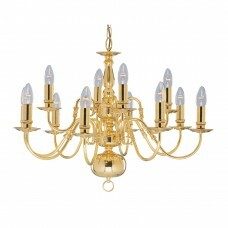 The style and size of a light fitting will depend on the size and style of your room. Size is governed by width of the room and and height of the ceiling.Style starts with the selection of colour of the metalwork of the light fitting typically; chrome, stain nickel, antique brass, polished brass and then specialised finishes such as cream, black , copper, bronze and more!